Floor tile and wall tile vary in a couple of different ways. First, floor tile has to be stronger and denser than wall tile because it carries a heavy load. Wall tile would never be able to hold-up under the amount of traffic that floor tile endures because of these factors. Floor tiles are also less porous than wall tiles. This is also due to the foot traffic that floor tiles have to be able to stand up to. Floor tiles do a better job at repelling spills, strains, dirt, and debris because they are manufactured to do so. Ceramic tile consists of natural products, such as sand and clay. Once these materials have been molded into the desired shape, they are then placed into a kiln and fired. Once the firing is finished, they are then removed either to be glazed or left unglazed. Most homeowners who choose tile flooring prefer the glazed ceramic. However, if you opt for unglazed ceramic tiles, they still need to be thoroughly sealed in order to withstand spills, stains, and dirt. 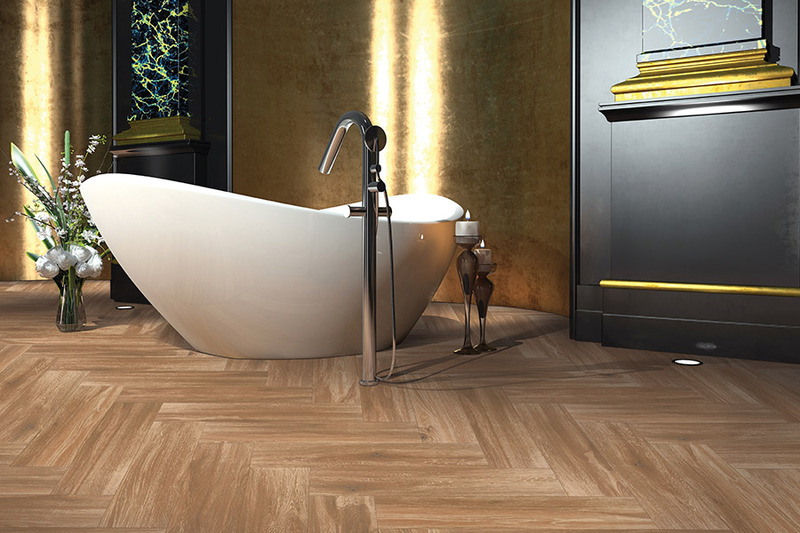 Once glazed or sealed, ceramic tiles are completely water and stain resistant. 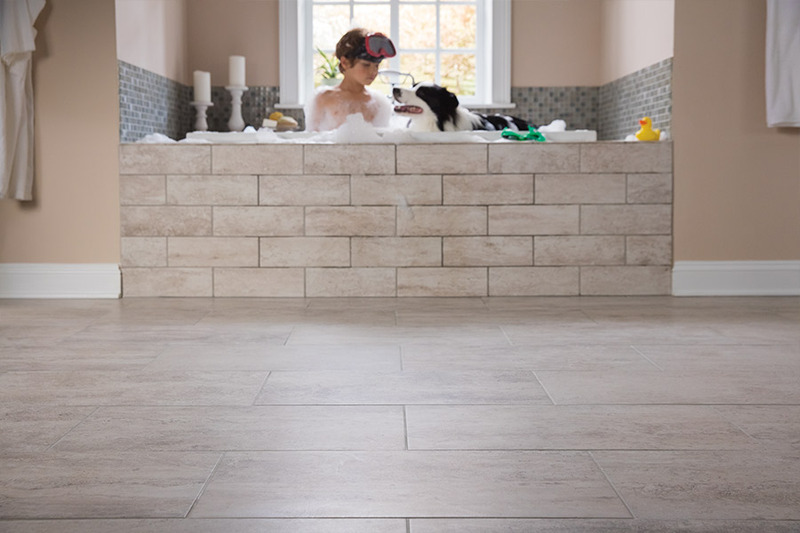 Ceramic tiles are naturally resistant to changes in humidity that are often detrimental to other flooring types.Because of this, they are one of the best floors to be installed in kitchens, bathrooms, laundry rooms, mudrooms, and basements. Ceramic floors are virtually maintenance free. Since anything you spill will remain on the surface until you clean them up, a towel or damp mop will do fine. Regular cleanings can come in the form of sweeping or vacuuming to remove loose particles. And, if for some reason a stain does set in, heavy cleaners can be used. You won’t have to worry about them doing any harm to the tile. Porcelain tile is similar to ceramic tile, the key difference is how they are made.The white clay used to make porcelain tile is finer, denser, and fired at a much higher temperature than the red, brown, or white clay used for ceramic tiles. This makes porcelain harder, denser, and less porous than its ceramic counterpart, resulting in porcelain tile being more resistant to scuffs, scratches, and abrasions. Porcelain tile can be used in all the same places that ceramic tile can be used. It can be maintained the same way as well. One of the biggest benefits of porcelain tile is that the color is the same throughout the entire tile. Since it’s not simply a surface color, the color will never change even if the tile becomes worn down. Another benefit of porcelain tile is that it can be manufactured to look just like natural stone. 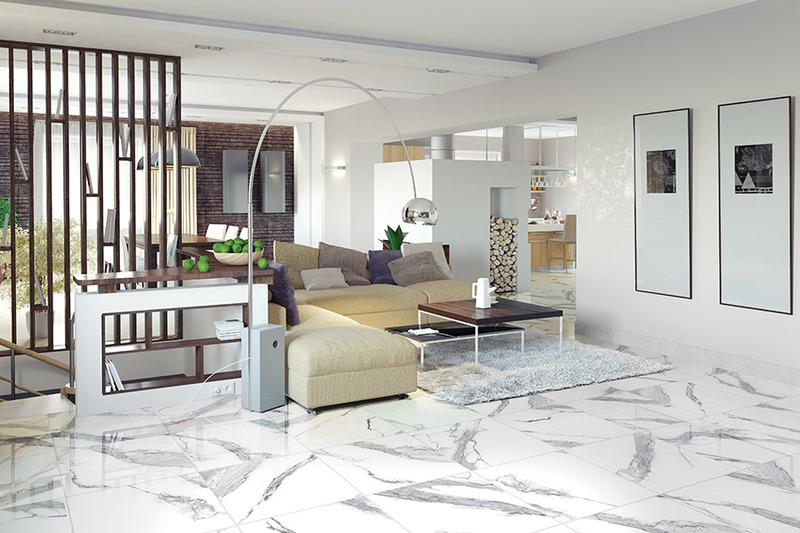 The price tag, however, is much lower with porcelain than it is with natural stone, making it a more affordable choice. 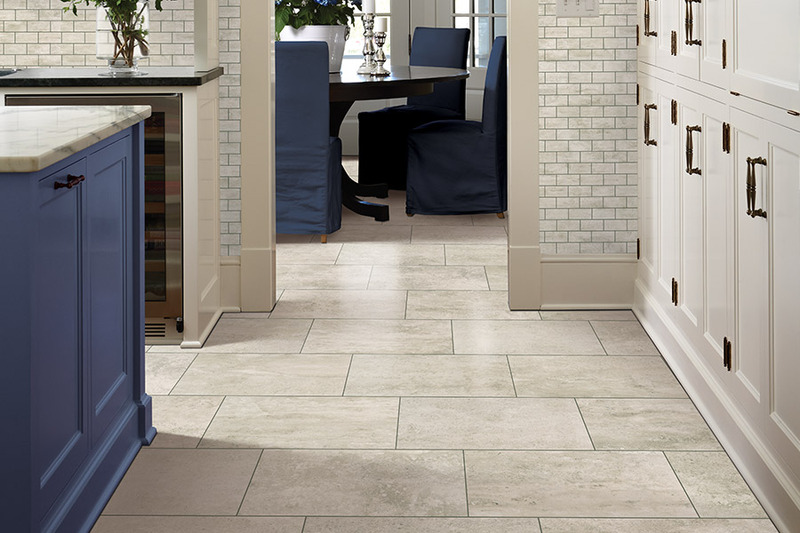 Porcelain tile can greatly increase the value of a home once it’s installed. 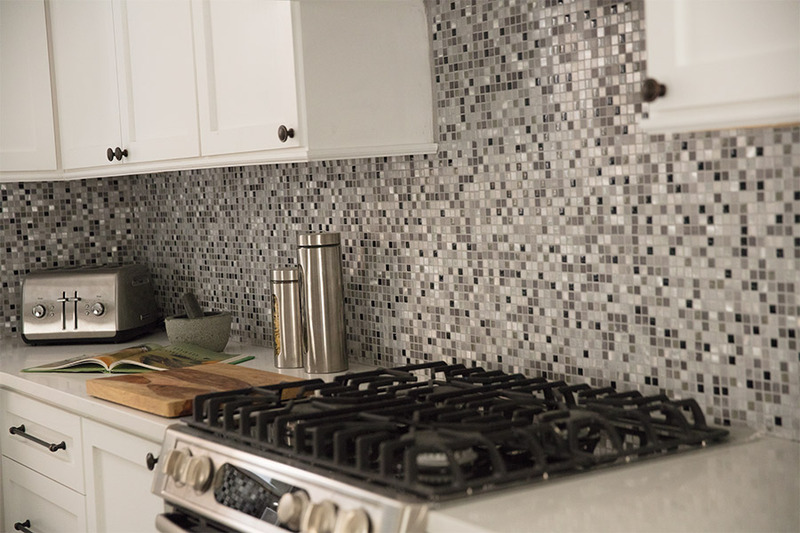 There are a variety of tile options to choose from - mosaics, terracotta, ceramic, glass, porcelain, and metal - and that’s just a few of the choices that we carry. And because you can mix and match tile for a custom pattern to suit your style, the design options are endless. To learn more about the beautiful tile flooring that we carry, visit Heath Flooring Concepts in Dallas here where we proudly service the areas of Cartersville, Rome, Acworth, Hiram, and Powder Springs.